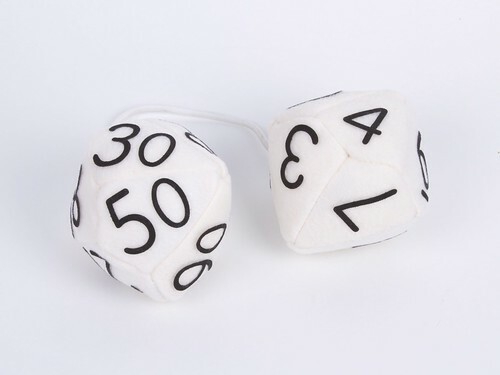 We’ve seen plenty of fuzzy dice for geeks, but the set we’ve always wanted is the “percentile” dice set– two 10-sided dice, one labeled 00-90 by tens, and one labeled 0-9. So: Here’s how to make your own. Thanks to symmetry, the pattern is relatively simple. This sort of a decahedron (and there are many) is formally known as a pentagonal trapezohedron, and each die has ten identical shapes. 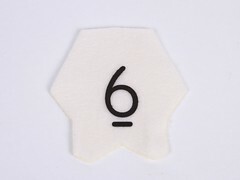 Each face is a “kite” with a seam allowance, and our scale is such that each face is a little over two inches wide. 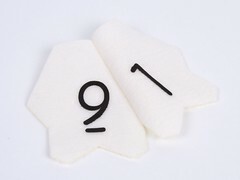 The pattern also includes lettering (well, numbering), which can be converted to iron-on lettering through techniques that we’ve discussed in the past. 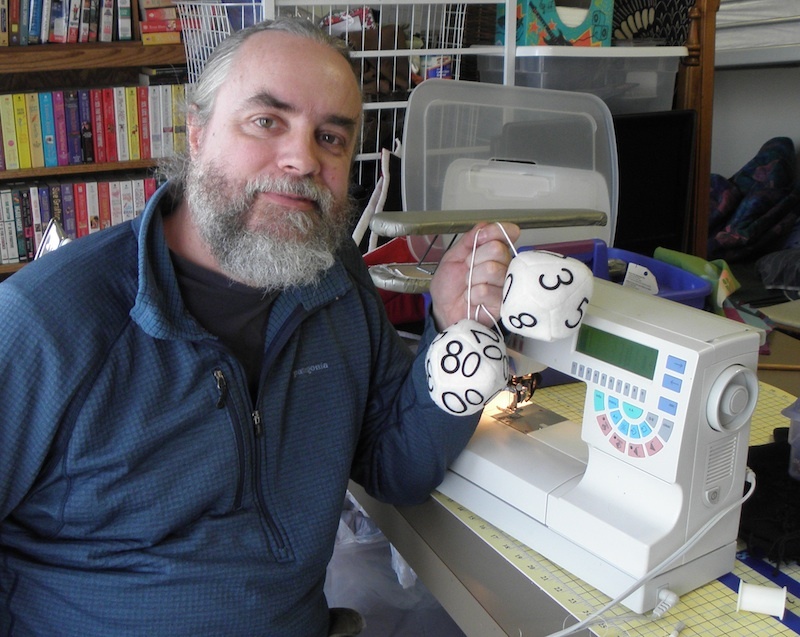 Letters like these can be tedious to cut by hand, so you might also consider what we did for our first d12 bag project, and pick up some iron-numbers at the local craft store. You can download the pattern file as a PDF here, or as an Inkscape SVG file here. First step is cutting out the pieces. 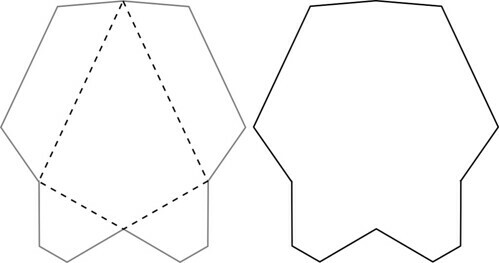 We need twenty of these shapes for the pair of dice. 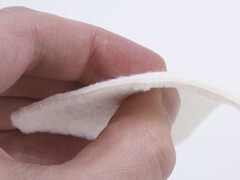 The fabric that we’re using is plain white polyester fleece. It’s thick and fuzzy, as you can see. 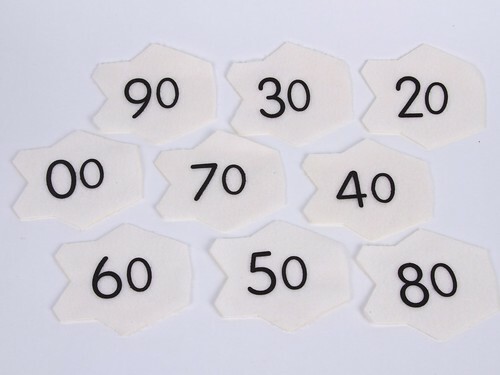 After cutting out the numbers, we iron them on. 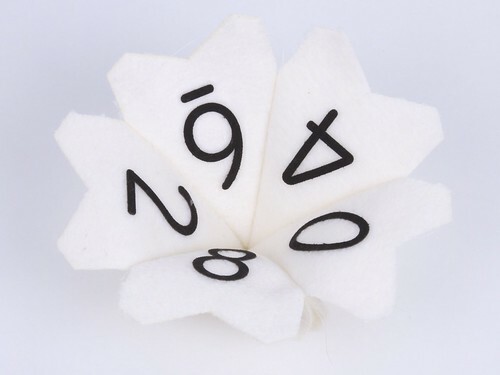 You need to remember to center the numbers in the “kite” portion of the pieces. 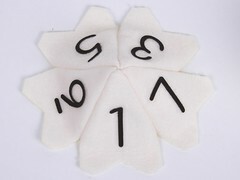 Part of this complete set (for the first die). Now, start to put them together. Sew along one of the long sides of the kite as shown, to bond two faces of the die together. 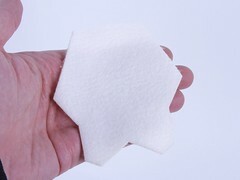 Add three more panels side to side in the same way, to form the top pentagonal pyramid. 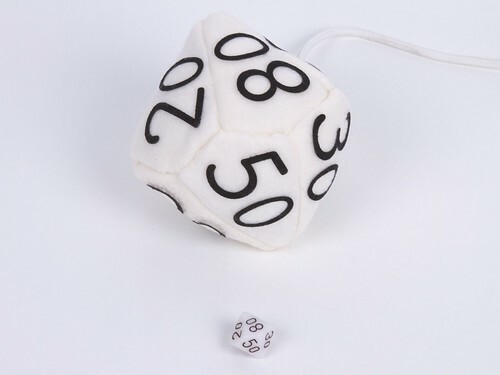 Flipping it inside out to sneak a peak, it’s more recognizable as half of a die. And, repeat to build the other half of the first die. At this point you can trim excess fabric from the seam allowance and use hand stitching to close up any gaps at the points. Now we have the two halves that are ready to join. 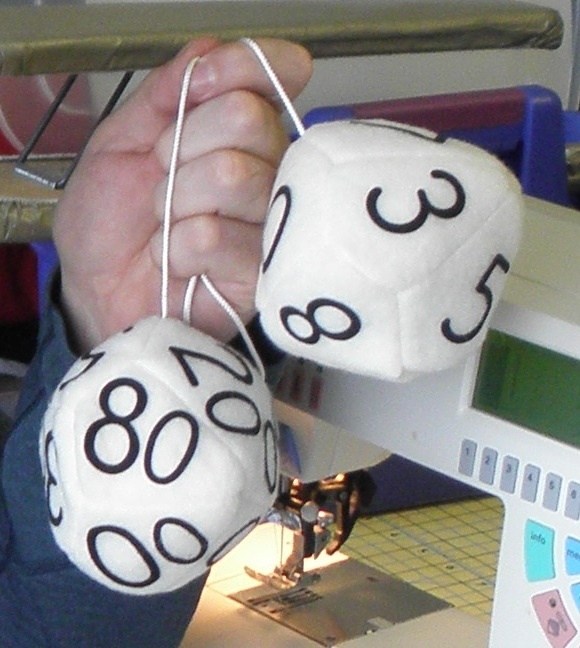 Next, we will join up the small sides of the kites, and insert the cord that holds the two dice together. 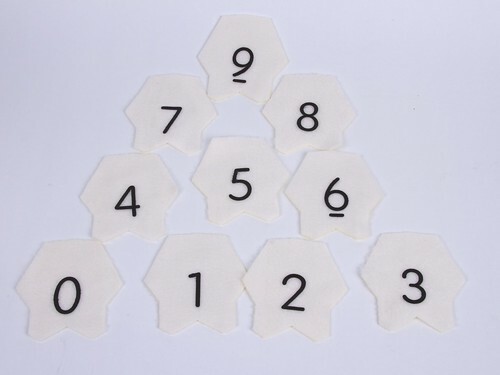 Some care is required when sewing together the small sides of the kites, to make sure that the faces are interleaved as shown– that is, the two small sides of each kite attach to the small sides of two neighboring faces of the other half, not to two sides of the same face. 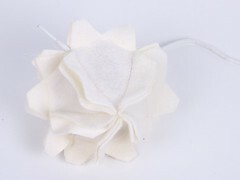 The cord is a thick nylon cord– a plain round shoelace or the equivalent is a good choice. You can sew it into the intersection where three faces meet. 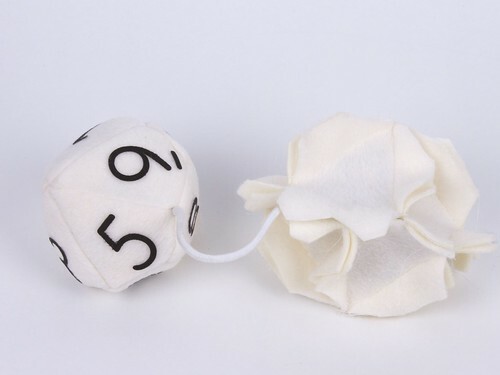 Finally (and carefully) turn the die right side out, stuff it gently, and sew it shut. 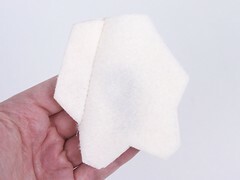 You can use almost anything for stuffing– fabric scraps, foam rubber, genuine stuffed animal stuffing. 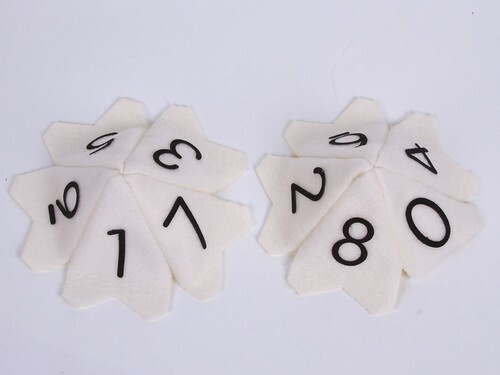 Now we move back to the “10’s” die, and repeat most of the same steps. 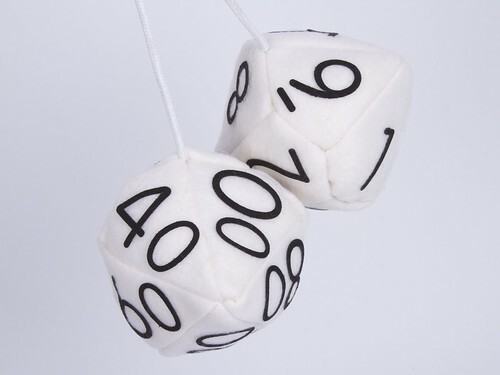 Here are how some of the numbers for that die look; note the smaller zeroes and their orientation. 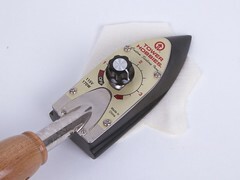 After repeating the steps to assemble the shell for the second die, attach the cord, and try to leave about 8 inches between the two. Again: invert, stuff, and seal. And you’re done. If you build one of these, we’d love to see your pictures and variations in the Evil Mad Science Auxiliary on flickr. 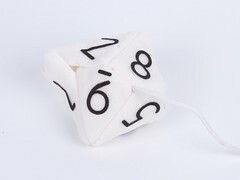 And, as with our other dice projects, we’re offering a kit if you’d like to save a little time building one. This entry was posted in EMSL Projects, Evil Mad Scientist Shop. Bookmark the Permalink. Really funny project that i will proably do sometime. Oh damn, i’m a besserwisser… forgive me and continue with those awesome projects. 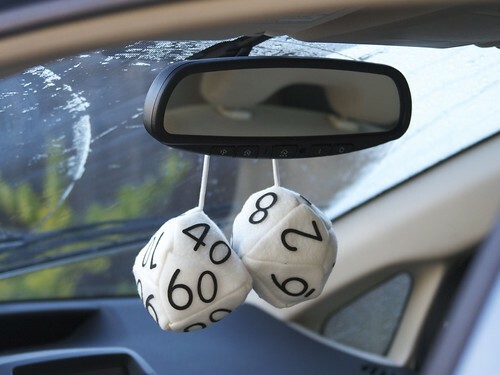 This was WAY easier than the d20 dice bag. I didn’t need any help from my wife at all for this one, except for hand stitching the final seam.